Now time to look at the coaches. 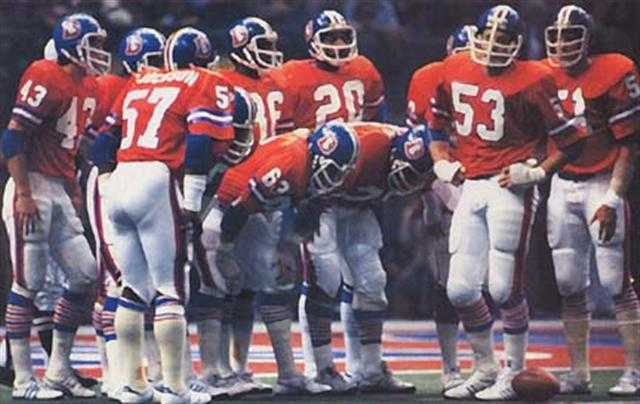 At the start of the season the Broncos were looking for their new starting head coach. Elway, Xanders and a few others undertook a number of interviews of different candidates for the head coaching position. In hindsight there was really ever only one choice for the position. It was the only interview that Pat Bowlen sat in on and that was for John Fox. To begin with I was unsure of the move and saw it as a very safe approach. 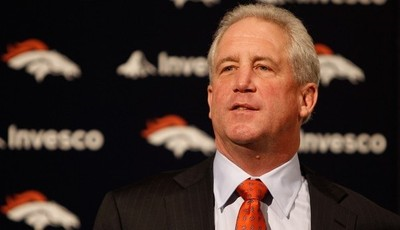 John Fox wasn't the 'sexist' pick out there but he was a good coach. The main problem I had with Fox was he was known to not be very creative and repeatedly did the same thing over and over again. It is the mark of a good coach that they can be innovative and get the best out of his players. I was hoping and crossed about every part of my body as I could that Fox had learned from his experiences in Carolina and would adapted as a coach. It was an interesting start to the season. Fox had to get accustom to the roster quickly and make decisions about players and the shape of the team that he wanted to run. Many players were not ready and quick decisions had to be made and one of the safest ways to do this is to start the veteran with experience. Fox did this at a number of positions and one of the key ones was Quarterback and starting 'Fainting Goat' Orton. With what Fox saw and the team he envisioned running you can not fault Fox for picking Orton over the other quarterbacks he had at the time. It was probably the right move. Luckily for us fans Orton was Orton and the fainting goat returned. This lead to one of the biggest decision of the year, changing to your back up Quarterback....Tim Tebow. For me this showed huuuuugggggeeeee balls on Fox's part and major props goes to McCoy and Fox for transforming the offense to suit Tebow's style. Can you just picture for a second if Tebow had gone 0-6 instead of 6-0 during that stretch. If he had we could very well be looking for a new coach. It was a massive call and Fox put a lot of stock into Tebow. Of course we know what follows. The Broncos rally around Tebow and they make the playoffs. One thing does worry me is how flat the Broncos came out against the Patriots. It is a key part of Fox's job that he gets these players pumped and ready for the game. It has me a little concerned that for the really big games that Fox can't get his message across. But the game the week before was emotionally draining so I will say it was a wash for now. In summary Fox was a great hire, he showed me that he has learned from his experiences and continues to improve his coaching skills. 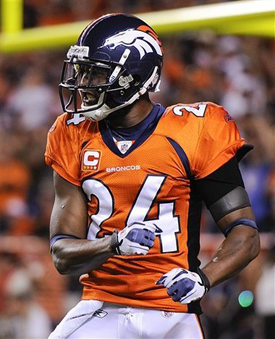 His effect on the team and positive energy he supplied was evident throughout the year and the Broncos record reflected that. Plus since he had such an impressive year he also finished third in the voting for head coach of the year. Fox could be our coach for a long time and will need something catastrophic to happen before he is removed. Here's to a well coached season Fox. McCoy was brought on as apart of Josh McDaniels staff to be offensive coordinator but played second fiddle to McD who called the plays. After McD was fired McCoy took over the play calling duties and when Orton could not continue he had his first experience tailoring the offense to Tebow. As we know Tebow started off slow in Oakland, showed promise against Houston and was solid against San Diego. A lot of credit should go to McCoy for easing Tebow into the starting role and then opening it up a bit in the following games. At the start of this season McCoy was kept on the staff by Fox and was handed the play calling duties. Over the first 5 games he was ok but not great at the position, the team of course struggled mightily but he continued to grow as the year went on. A lot changed when Tebow was named the starter. After trying to run their tradition offense for a few weeks it was obvious to McCoy and Fox that Tebow was not prepared enough through TC and practice to run that offensive efficiently. They decided to add elements to the offense that Tebow knew so well, the read-option stuff he had run in college. This like Fox making the decision to turn to Tebow showed huge balls from the two that they were willing to change the offense to help Tebow succeed. 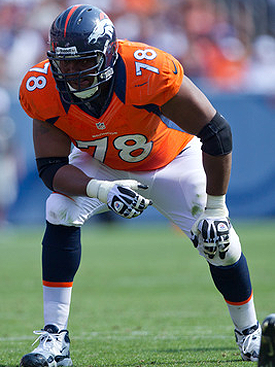 In a way it worked, the Broncos had the number one running attack in the league. Many people my self included were frustrated with some of his play calling. Things like runs on 3rd and long, no crossing routes, not much of a screen game, only running two or three WRs down field on passing plays and tight ends didn't see much love. These problems persisted as the year went on and annoyed fans. It was difficult to watch some times when you knew what play was coming and the continuous 3 and out series killed fans inside. But whether by design or just purer luck it all sort of my sense in the end. Leading into the playoffs the Broncos had ran something like 28 times from 29 on first down. So on first down in OT against the Steelers, the Steelers secondary were playing the run and moved up into the box. 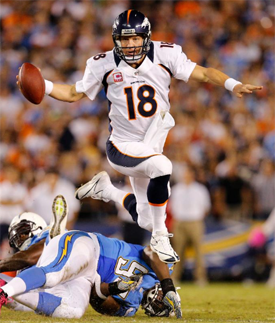 Play action pass, 80 yard run for a touchdown and the Mile High Goodbye was born. Since the Broncos had such an successful season and that McCoy had been a large part to that, he started getting offers for head coaching positions. But he was not successful and is staying in Denver. Some had wished he had left but I am in different. He is a good coach but he needs to show improvement. Be a little more diverse in your play calling and when you run pass plays set them up to succeed. Use rub and crossing routes. But I think he knows that already. With a full offsesaon of training ahead of him the team should be more familiar with the plays and be able to do a few more things then in recent years. Here's to a good season ahead. Allen was brought in at the start of this year to be the first defense coach under head coach Fox. Allen had previously been the secondary coach at the Saints and he showed up with glowing reviews from his previous employers. He was the prodigy that would be taught and guided by Fox on the nuances of the defensive side of the ball. The Broncos defense showed a marked improvement from previous years' seasons under Allen going from last to middle of the pack. One key reason was we were finally able to stop the run. 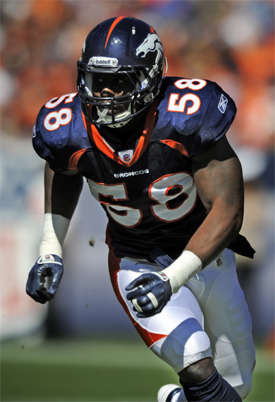 The Broncos defense under Allen managed to always keep the Broncos within reach of winning the games. Though there were a few blowouts this could be put down to the offense as much as the defense itself. Unfortunately since Allen had done a such good job and the Raiders are the Raiders they stole Allen away from us to be their Head Coach. Allen went from secondary coach, to defensive coordinate to head coach in two years and that is impressive. But Allen leaves the team with a half completed job to take on an even harder job with the Raiders. Luckily for us we picked up Jack Del Rio and the defense shouldn't skip a beat. 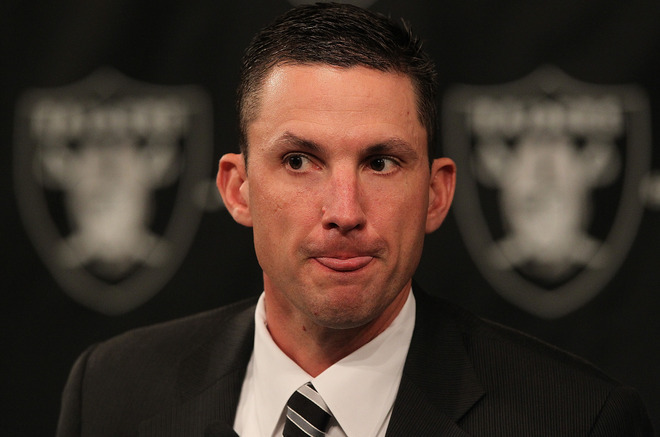 To Allen I say I hope you crash and burn and lead the Raiders to failure. That is the coaching review all done so.....we gone! ~ Aussie. So you think I'm old & need to pop out some kids, eh?? No way... never wanted kids & still don't. So mom will probably be disappointed, oh well. I have absolutely no desire whatsoever to have kids. And I'm glad McCoy is staying in Denver. The lockout last year set everyone back but with a full offseason ahead I think Tebow & McCoy will be able to prove themselves. Tebow needs that kind of stability, not a new coach every season. Haha Princess, hope you get well soon. I thought you may have missed the pop out some kids post :P oh well. Yes Allen does look evil, like a young Al Davis. And McCoy should be huge for the offense since he is staying in town. I love Fox as HC. I'm so glad somebody was smart enough to make the change. I think you got the needs right a couple of posts ago also. CB, RB, DL in 1st 3 rounds. OL in late rounds. She's alive! Get well BP. You're supposed to be sick on your days off dummy. Glad you feel better. Good to hear your better. Digger, I can't wait for the defensive guys to go at the combine! I now like Wilson over Miller for RB. Both are good and neither will be there for our #57 pick. Trade down works for me. I don't want any trade ups. Hill from GT (same as BayBay) is looking like a good one too. Doubt we can get him either. He should go mid 2nd also. Dontari Poe led all players at the Combine with 44 reps of 225 pounds on the bench. Same, I am a little disappointed Miller didn't show to well in the broad or vertical but he is an interesting prospect. Hill had a great day and he could be another good WR for us. I thought streeter did well too. I was really impressed by Poe's numbers but I don't think we need another big man. Will be interesting to see how they do tomorrow. The 3-cone will be huge for Poe. Not yet I don't think. All I've seen on him is that he is getting grilled with questions about his off the field issues and has pretty much blamed everybody but himself for all of them. His stock has plummeted. 3rd round pick now. We do to need a big man if Bunkley and Thomas walk. Streeter will be more in a spot where we could draft him. Janorius Jenkins has admitted to being arrested 3 times, kicked off Florida team for drugs and has 4 kids under the age of 4. No to him and Burfict. I am hoping we keep both bunk and Thomas but you are right. Burflict is an idiot and I have been saying it for days, raiders maybe? I am liking streeter but I want two corners and two DTs from this draft. Then rb, ol and best available. Is that to be continued? Best available what? What?.... My plan of attack would be corner in the first, DT in the second, corner in the third, DT in the 4th, then rb and ol in the 5th and best player in the board in the 7th. So Jenkins likes to party lol I think we go one one of the other corners. More fun to be sick when I'm supposed to be at work... hate my job & I got extra time off. Plus this infection lasts longer than just 2 days. But I do agree, we need to go all defense for at least the first 2 rounds.